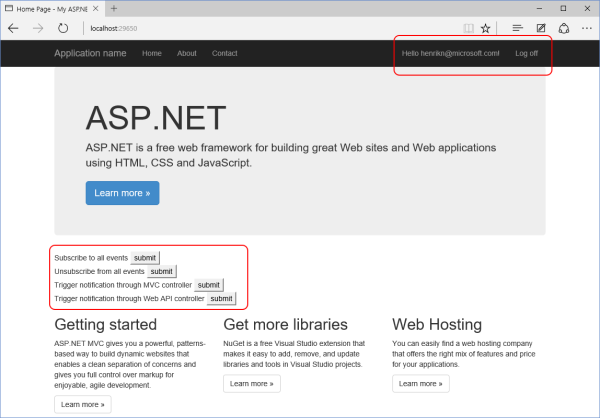 In the blog Introducing Microsoft ASP.NET WebHooks Preview, we gave an overview of how to work with Microsoft ASP.NET WebHooks. We mentioned that it is not only possible to receive WebHooks from others but also to add support for sending WebHooks from your Web Application. This blog goes into detail on how to do that. It supports sending WebHooks handling errors and retrying requests for a number of times before giving up. Note: We are adding topics to the Microsoft ASP.NET WebHooks online documentation so please also check there for additional details as they become available. Btw, you can also look at the sample doing exactly this. Microsoft.AspNet.WebHooks.Custom: This package provides the core functionality for adding WebHook support to your ASP.NET project. The functionality enables users to register WebHooks using a simple pub/sub model and for your code to send WebHooks to receivers with matching WebHook registrations. Microsoft.AspNet.WebHooks.Custom.AzureStorage This package provides optional support for persisting WebHook registrations in Microsoft Azure Table Storage. Microsoft.AspNet.WebHooks.Custom.SqlStorage This package provides optional support for persisting WebHook registrations in SQL. See Updates to Microsoft ASP.NET WebHooks Preview for a description of how to use it. 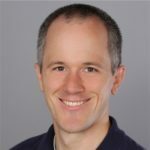 Microsoft.AspNet.WebHooks.Custom.Mvc This package exposes optional helpers for accessing WebHooks functionality from within ASP.NET MVC Controllers. The helpers assist in providing WebHook registration through MVC controllers as well as creating event notification to be sent to WebHook registrants. 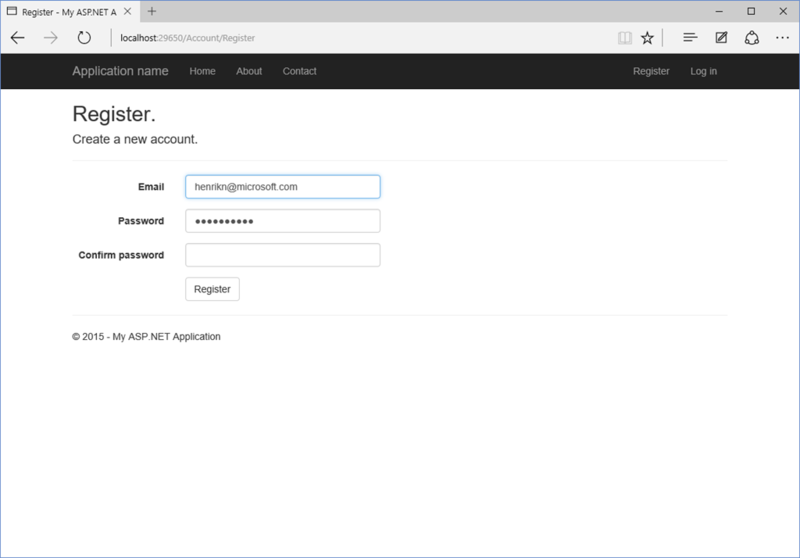 Microsoft.AspNet.WebHooks.Custom.Api This package contains an optional set of ASP.NET Web API Controllers for managing filters and registrations through a REST-style interface. In this example we will use all four packages for providing a basic WebHooks implementation which stores WebHook registrations in Azure Table Storage and exposes a REST API for subscribing to WebHooks. However, ASP.NET WebHooks is built around Dependency Injection and so most parts of the system are pluggable allowing you to provide alternative implementations as needed. When ASP.NET WebHooks starts up, it looks for all IWebHookFilterProvider implementations and gathers the combined set of event filters. The filters are made available so that they can be incorporated into an MVC UI or exposed through the REST-style API for managing registrations. 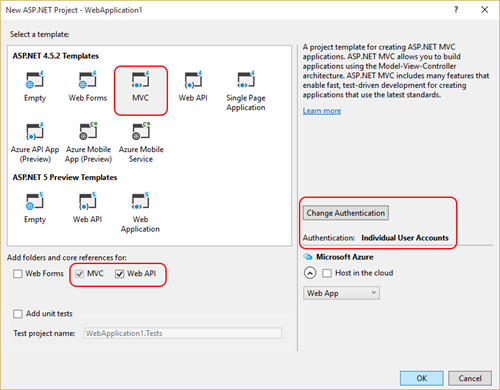 That is, you can for example write an MVC controller which exposes subscription management, or you can use the provided Web API implementation which exposes it using a REST-style interface. In this example we will go with the Web API and store the data in Azure Table Storage, the but you can provide the exact experience you want. Let’s generate an event! Events are matched against the registered WebHooks and if matches are found then an event notification is fired in the form of a WebHook. 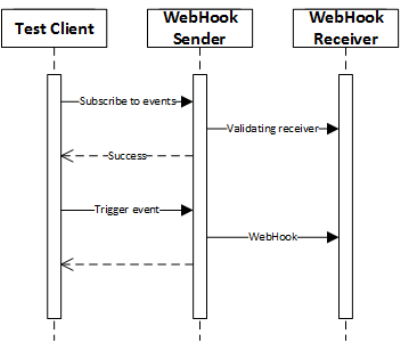 Generating WebHook notifications typically happens from within an MVC controller or a Web API controller but can actually happen from anywhere. In the following we will focus on sending them from an MVC controller and a Web API controller. Note that we only want WebHooks to be sent to the current user. That is, we don’t want user A’s events going to user B and vice versa. This means that to generate an event we must have a valid user ID. In the case of the controllers we do this by ensuring that the user is authenticated using the [Authorize] attribute. The input data allows the submitter to include additional data in the WebHook which is then sent to matching receivers. This can be anything that the notification needs to convey data about the event. The use of actions and data is identical to that of MVC controllers and again, we require authentication to get a valid user. To simulate subscribing and triggering events, we mock up a simple UI in the well-known ASP.NET home page. Open the file Views/Home/Index.cshtml and add the following content right under the jumbotron div element. In this scenario we subscribe to all events by not including any filters in the subscribe request. When you hit Subscribe, an entry should be stored in Azure Table Storage. You can inspect that this happened by looking at the store in Visual Studio (note that the content is encrypted with a roll-over key so that none of the client secrets are visible). That’s it – you now have full support for sending WebHooks! I am also facing problem with this. Does anyone has any source code which is complete and working? I have been looking at this since last 1 month and not able to get it running.